Every business and organization needs to be aware that old hard drives and computer backup tapes are a significant threat for a data breach because they store a tremendous amount of confidential information that corporate espionage spies and identity thieves, know how to access. Regardless whether the hard drives or tapes are no longer needed or not functioning, the information is still accessible so they need to be physically destroyed. Stolen data can have a devastating effect on your company, clients and employees. The damage to your reputation and the loss of confidence in your company may have short term and even worse long term, negative effects. A large percentage of companies that experience a date breach never recover. The legal and financial costs could also put your company out of business. Every business needs to replace computers at some time; today this happens more frequently than ever because of the advances in technology. The result is more old computers that all have hard drives with information on them, which means they need to be removed and destroyed. As soon as a computer is decommissioned the hard drive should be removed and stored in a secure manner until it can be destroyed. One hard drive can contain millions of pages of information. When you hit the delete button on your computer, the information actually remains on the drive. That includes e-mail messages and all of your online activity. Wiping or overwriting the hard drive is not enough because data thieves have special software and techniques to still recover some of the information. Every business and organization such as hospitals, financial institutions, public and private companies and all branches of government need to be aware of privacy laws that require proper media destruction to keep confidential information safe. The physical destruction of hard drives and all other electronic media is the best way to reduce a company’s data breach exposure. In addition to this, businesses and organizations need to be aware of the cost of storing old computers and electronic media. Office space is expensive not to mention if your company is growing and needs more space; why tie it up with technology that you no longer need especially when there is a safe and secure way to dispose of them. The best business practice is for companies to have an ongoing computer tape and hard drive destruction program with a professional information destruction company to ensure data security and compliance with privacy laws. 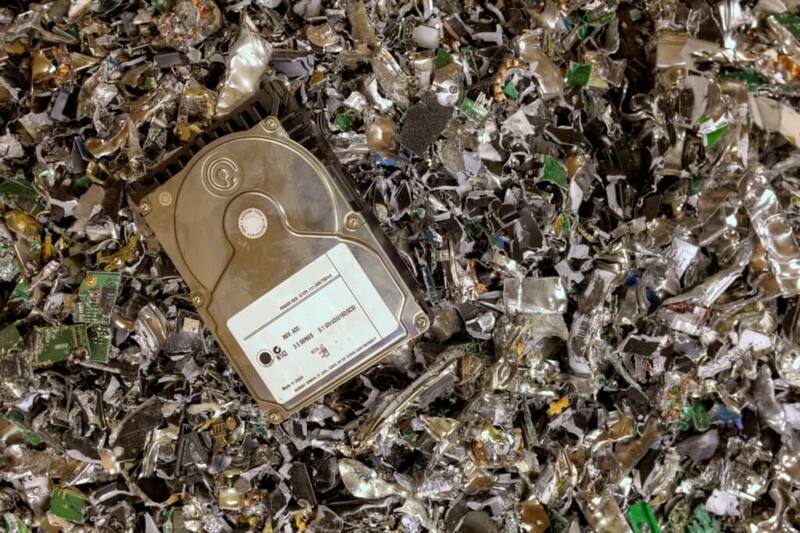 When you destroy old hard drives and backup tapes with a professional firm, it guarantees total information privacy for your customers and your business. You work hard to get customers; don’t let a data breach undermine all your hard work. Time Shred Services is a local onsite hard drive destruction and shredding service that provides information destruction to the businesses and residents located in Manhattan, Brooklyn, Bronx, Staten Island, Queens, Nassau County, Suffolk County, Westchester and New Jersey. For more information give us a call or visit www.timeshred.com.